Interested in working with this programme? The SA Agulhas II at Marion Island. © Ryan Reisinger. Every year around the end of March, the S.A. Agulhas II heads down to Subantarctic Marion Island which is situated approximately half-way between South Africa and Antarctica. The voyage to the island takes about five days, traversing some of the fiercest waters in the world. Annually, the outbound ship will have a new expedition (overwintering) team, a host of scientists and their collaborators and students, Department of Environmental Affairs (DEA) officials and National Department of Public Works personnel on board – nearly 100 individuals aside from the ship’s crew. During the subsequent 5 weeks (known as ‘Takeover’ or ‘Relief’ and centred over April) the base station is a fairly crowded place as research programmes are fine-tuned, new personnel are trained, the base station and field huts are maintained, stock is consolidated and so forth. During this time, the ship is involved in oceanographic research in the regional waters before returning to the island in early May for back-loading, bringing the crowded takeover period to an end. The ship returns to South Africa, leaving only the new expedition team at the island until the next year’s Takeover. Every annual expedition team, in effect, remains at Marion Island for ~13 months. Expedition teams to Marion Island include two broad categories of personnel, namely ‘support’ and ‘scientific’ personnel; all of whom are generally either directly or indirectly employed by DEA. Expedition team sizes range from 11 to 20 people. Support personnel include: Base engineer, Diesel mechanic, Radio technician and Medical orderly. Scientific personnel are employed under contract with DEA, but are generally recruited by and affiliated with tertiary education institutions or other national research or monitoring bodies. Each scientific programme is led by senior scientists associated with these entities (chiefly from universities). Two scientific endeavours of relevance for discussion here are the ‘Seal’ and ‘Killer Whale’ projects, which are administered together within the MARION ISLAND MARINE MAMMAL PROGRAMME (MIMMP). The research base at Marion Island. © Nico de Bruyn. Prof Nico de Bruyn, from the Mammal Research Institute at the University of Pretoria, is the principal investigator of seal - and killer whale research, collectively managed as the MIMMP. Prof Marthán Bester who started the seal programme several decades ago and is now retired remains involved as co-investigator of the programme. Additionally, as the field operations manager for the MIMMP, Nico de Bruyn oversees all fieldwork conducted for both seals and killer whales at the island, with operational assistance from collaborators, postdocs and students, including Ryan Reisinger (killer whales) and Chris Oosthuizen and Mia Wege (seals). The entire MIMMP team is large, consisting of numerous postgraduate students and several national and international collaborators. 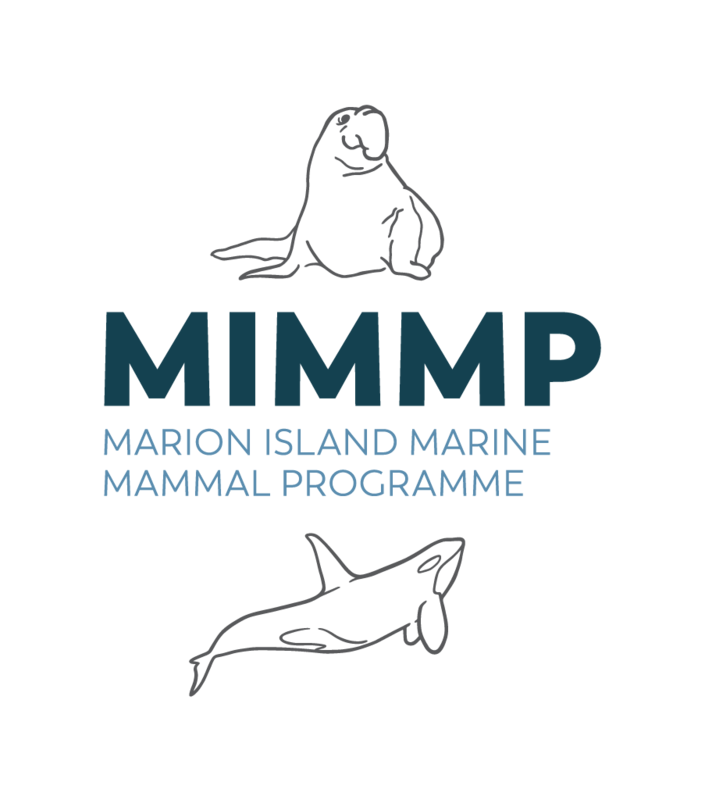 Every year, the MIMMP principal investigators employ a ‘Whaler/Sealer’ and two or more ‘Sealers’ through contract with DEA, to spend an expedition year at Marion Island. These field personnel positions are highly competitive, and candidates are meticulously selected based on stringent criteria. Annual advertisements provide details regarding the exact requirements, but field assistant positions are generally restricted to individuals that possess a BSc Honours degree or higher, have experience with large mammal work, are physically extremely fit and have a range of other skills. Positions are usually advertised around September annually, but the timing varies slightly and potential candidates need to stay tuned to this website and our Facebook page (@marionseals83) to be updated. Q: Can non-South Africans be employed as personnel for an annual expedition at Marion Island? A: While not entirely impossible, it is difficult. The contractual appointment of field personnel through the Department of Environmental Affairs currently complicates the process for non-South African candidates to be considered. In addition, financial implications are associated with the employment of foreign personnel, something the limited project budgets cannot always accommodate. Q: Can non-South Africans be involved in the MIMMP research at all? A: Definitely. International collaborators are key partners in our scientific endeavours. Prospective international post-graduate students can enrol at South African universities without difficulty and the principal investigators promote such involvement. Once enrolled as a student of the principal investigator, opportunities for Takeover research visits to Marion Island become a possibility. Q: How would I have the best chance of becoming a post-graduate student in the MIMMP? A: The University of Pretoria’s Department of Zoology & Entomology and the affiliated Mammal Research Institute are internationally well recognised research intensive entities. The MIMMP is embedded within these entities and as such attracts students that have strong academic histories. Competition for space is extreme, thus, as with any postgraduate study prospective students that approach the principal investigators with well formulated ideas for a research topic will have preference. Budgetary constraints are ever-present and prospective students who show evidence of successfully obtaining individual merit-based bursaries will increase their chances of becoming part of the MIMMP research team. Q: Can I go to Marion Island for any period shorter than 13 months? A: The only opportunities for visiting Marion Island are 1) as contracted field personnel for the full 13-month annual expedition, 2) for the annual relief period (~5 weeks) as collaborators of the principle investigator , or 3) as relevant postgraduate students working on MIMMP related research questions under the supervision of the principal investigators. Q: How do I find out about field personnel positions at Marion Island? A: Seal and Killer whale positions will be advertised on this website, the Facebook pages, our Twitter accounts (@marionseals and @marionkillers) and various e-mail lists (such as SANCOR). Other research programmes (e.g. birds, botany, entomology) advertise through their own channels, while the SA Weather Service and DEA are responsible for appointment of meteorologists and support personnel, respectively.